One of the things trending with children and cyber technology is that very young children are experiencing increasingly longer periods of screen time, especially with devices. This trend flies in the face of the American Academy of Pediatrics recommendation in 2011 that children under two should have no screen time, which from my point of view is laudable but not necessarily a reasonable expectation for the modern parent. To this point, a recent Common Sense Media study found that 38% of children under the age of two have used a mobile device for playing games, watching videos or other media-related purposes. While in 2011, only 10% had used such devices. According to a Mashable report, Common Sense Media CEO Jim Steyer encourages parents to make screen time, learning time. So the opposite of “no screen time for tots” is happening as we are living in a cyber-powered world and the devices have become an integral part of daily life –much like a pair of shoes. Sulpizio wrote this book to help moms like her who feel the pressure to be perfect in every way, with all of the conveniences of modern technology at our disposal. 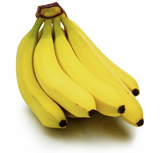 My conversation with her will be featured in the upcoming 2014 Winter Edition of Banana Moments: Family Business Quarterly. Suffice it to say, the modern parent will more than likely be handing over the device to a very young child no matter what pediatricians advise. The main thing from my perspective is that we are not leaving the child alone with devices. There is no substitute for human contact in the early years, and the children are naturals with the technology. They will not have any difficulty downloading apps and accessing various web-enabled services, as indicated in a recent New York Times report about Apple iTunes settling a class action law suit because children were downloading apps and racking up charges without parents’ permission. 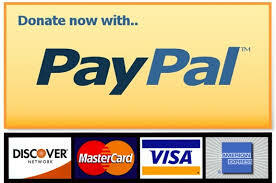 Apple agreed to make refunds and is changing the way it authorizes payments for downloading apps. What should screen time for tots look like? And so the question remains then – what kinds of apps are the most appropriate? How can we make the screen time an educational experience for the tiny tots? 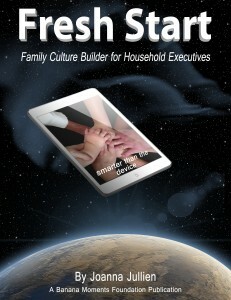 First of all, it cannot be stressed enough that parent engagement is critical. The most important lessons our children learn in the first years is how to bond with humans. So do not leave the infant alone with the device – although it will be tempting to do so because the devices are so engaging on their own. The main interaction she needs to experience is with you and/or her care giver. Seek trusted resources. 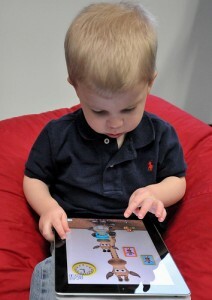 Finding great apps for children, especially in the early developing years is serious business. And so we look to trusted resources. Common Sense Media offers a great listing, and the local librarians also provide youth and parenting services where you can identify the best apps and make it a field trip to the library – putting some sense of distance in the mind of your tiny tot between the apps at the library devices, and the screen in your own hand that you use every day. 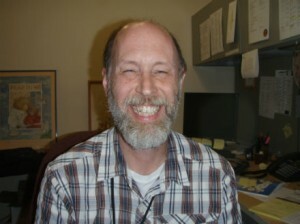 Tony Carmack is the Youth Services Librarian at the Rocklin Library in Placer County, Ca. Tony Carmack is the Youth Services Librarian at the Rocklin Library, works with parents and children. He observes that Pottytime and Akzara are popular and get a lot of “buzz”. Amanda Foulk at the Sacramento Library has compiled a list of recommended apps. Sandra Boynton Books – these books adaptations provide a lot of interactivity for young readers, adding whimsical and unexpected animations while preserving the experience of reading a board book. They are some of her favorite apps: Moo, Baa, La, La, La; The Going to Bed Book; Barnyard Dance; and Blue Hat, Green Hat. The Monster at the End of this Book . . . starring Grover! Both Foulk and Carmack recommend, Don’t Let the Pigeon Run This App! For older children, Foulk suggest parents consult AASL for a list of recommended teaching apps. Posted in Boundaries, Children's apps, Discipline, Faith, Family, Mobile Phone Use and Children, Parent-child relationship, Parental Authority, Parental control, Parenting, Social Media, The Fish 103.9FM Cyber Tues.